One of the biggest problems people make when they’re doing anything DIY is trying to do too much at one time. If you’re a beginner, there’s no reason you should be adding stripes, hearts, and polka dots to your nails — you don’t have the skills for that quite yet. Start small and simple with a few dots so you’re not creating more work for yourself. You don’t want to file your nails too short when you’re applying nail art. You need room to create (especially if you don’t know exactly what you’re doing). Let your nails grow a little before you apply nail art and refrain from filling too much. You might not realize how much of a negative impact old nail polish can have. That is until you apply a fresh bottle to your nails and you actually see how great they can actually look. Old polish can make your manicure look dull and stop your nail art from actually showing up. Have a plan before you even start painting your nails. You might want to rely on whatever you’re feeling in the moment, but don’t do that. Odds are, all that’s going to do is create a mess on your nails. Sketch out what you want to do beforehand! Are you trying to create nail art over thick coats of polish? That might be why your final result doesn’t look too good. 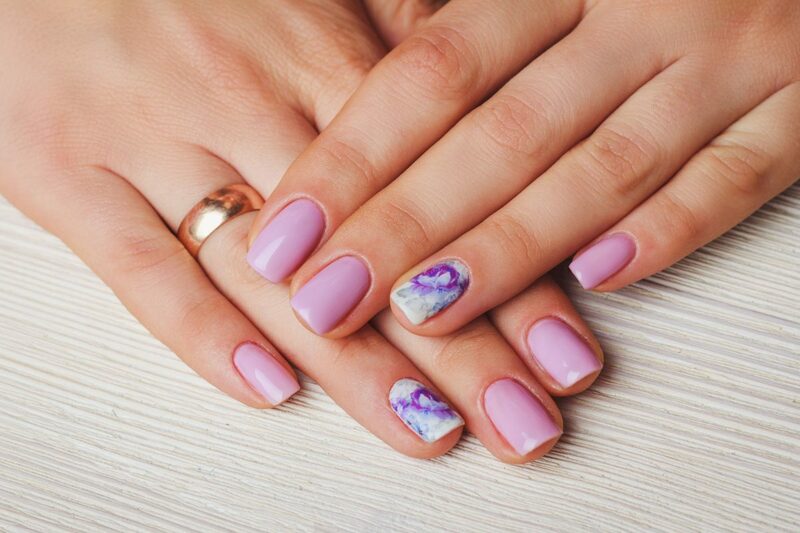 Thick coats make it easier for your nails to smudge, which basically means your nail art won’t look good. Opt for a couple of thin nail polish coats. Whenever you do your nails yourself, you should always wipe them down with nail polish remover. Even if you don’t have any polish on your nails. The only way to ensure your nails come out perfectly (or almost perfect) is to not apply polish over dirty, oily nails. Have a clean base before you do anything! Cuticle oil is really good for your cuticles and it’s something you should definitely use in between manicures to keep your nails healthy. But you shouldn’t apply cuticle oil before you’re about to create nail art. This will make it difficult for the polish to go on and actually hold. Sometimes, nail technician tools aren’t exactly user-friendly. Sure, your nail lady might be able to use a tool with ease but that doesn’t mean you can…or even should when there are so many at-home tools you can use. For example, bobby pins. They make the perfect tool for gently applying polka dots to your nails and you can probably find a couple of them in your bedroom. Base coats keep your nails from staining and they also protect them from chipping. If you’re going to go through all the work of painting your nails and applying nail art, you might as well make sure your work doesn’t go to waste! Foam buffers are the best way to buff your nails so they’re ready for your nail polish. Similar to a top coat, a buffer helps the polish go on smoother so you don’t see any air bubbles and your nails look fresh! Topcoats don’t just make your nails look glossy, they actually help your nail polish go on better and last longer. If you think topcoats aren’t a necessity, re-think that and apply them onto your nails after you’ve finished. Every nail guru, even novice gurus, need to own stripping tape! Stripping tape is one of the easiest ways to make your nail art ideas come true. Besides helping you create a uniformed look, stripping tape can assist in creating shapes, designs, and even patterns. The biggest mistake you can make is going in free hand. Take advantage of stripping tape. We’re all guilty of this one. Unfortunately, most of us are pretty impatient when it comes to doing our own nails. We want perfection immediately, but unless you’re a nail art prodigy that’s not going to happen. And you know what? That’s okay. You can’t expect your nails to look amazing if you’re new to the DIY nail game. Give yourself time to grow in your skills — try not to be impatient.